>I wanted to wish everyone out there in blogger land a happy New Year! It’s been a great year for me, and I’ve made many new friends with similar neuroses…bird dogs in particular! I wanted to share a few of my favorite memories! Happy New Years 2009…may it be your very best! 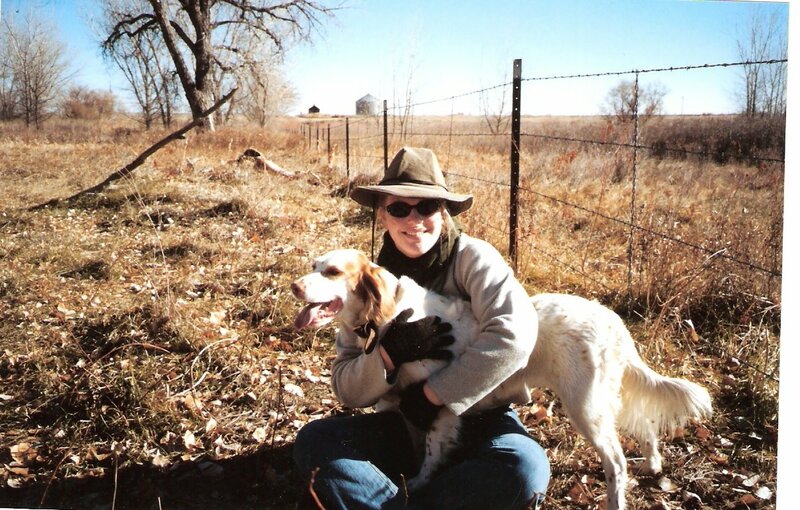 Jibbers and Ginny Girl…two of my very most favorite bird dogs…both chasing birds in the great CRP field in the sky! The Perfect Church…thanks Marc P for the photograph! That looks like great quail habitat in the back ground! 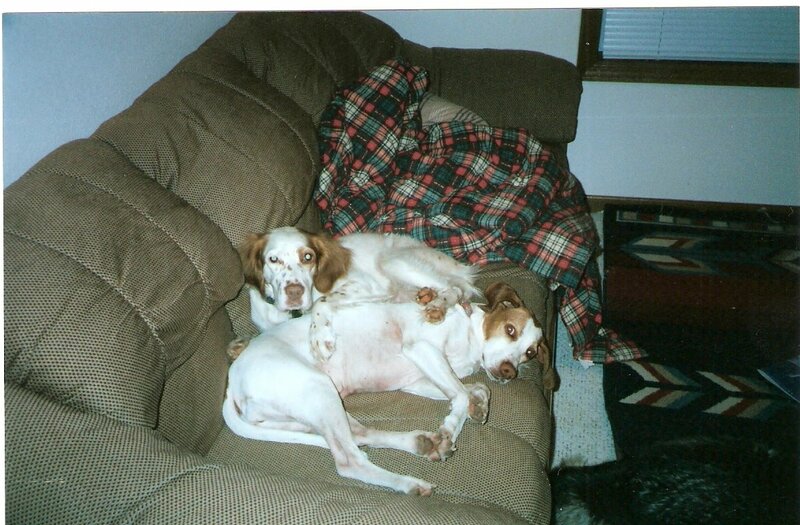 My daughter Kyli and Ginny Girl a few years ago. Kyli and her wonderful husband Kevin are expecting a boy…yes, I’m gonna be a grandpa at 41…I’m very excited! 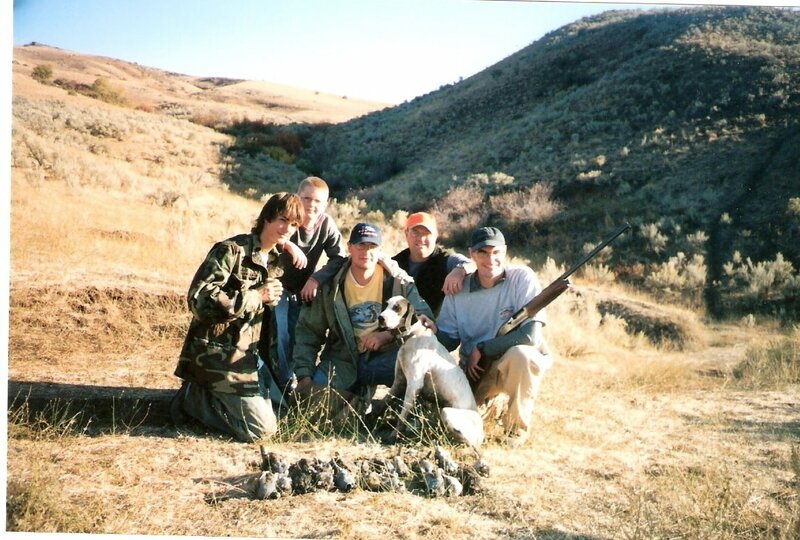 This is one of my very best memories…valley quail heaven in Idaho…Farley had over a hundred points in one day! Wild birds make good bird dogs! What a wonderful day of wing shooting with my family! Next Post >Joining the TechNo World…It’s About Time! >Andrew…It’s been a pleasure for me too! 2009 is our year to get our dogs together! 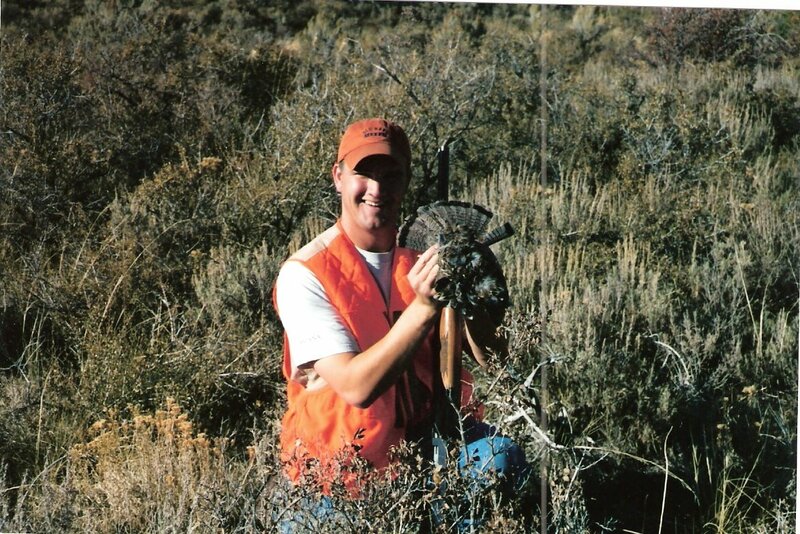 I appreciate the friendships that I have developed through my bird dog bloggin’!